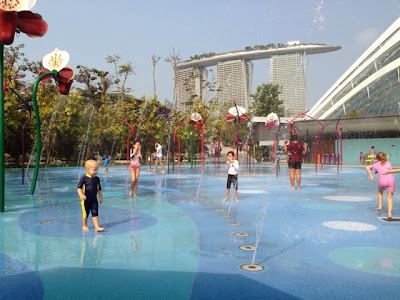 The kids do not have classes this morning so I made a last minute decision to bring them to the latest, newly opened Far East Organisation Children's Garden at Gardens by the Bay. I heard many good things about it and thought it would be a fun Saturday morning activity and boy did the kids have fun. 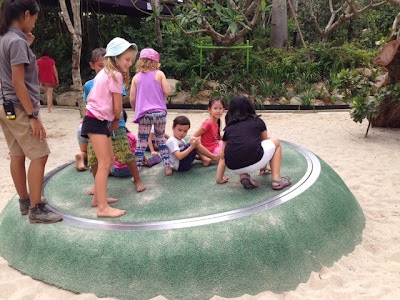 The space is huge with different sections for the various age group and a variety of activities. 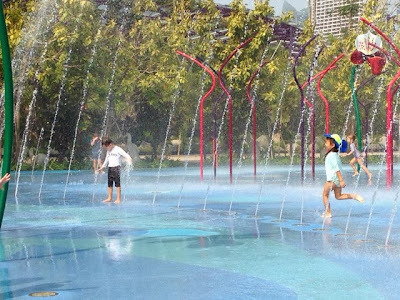 There's a big space for water play. The two little ones spent an hour running around. The place is well organized with shaded seats for the parents to watch over their children. The view was nice too as it looks towards Marina Bay Sands. Right next to the water play area is a small cafe which is sufficient if the kids get hungry or thirsty. 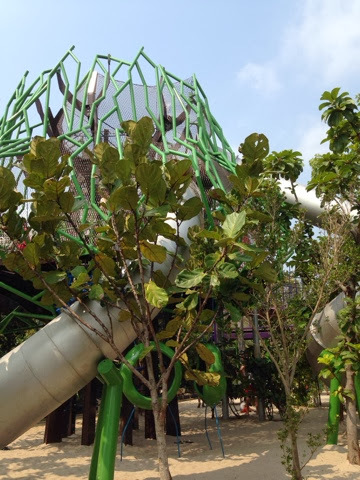 After spending an hour at the water play area, the children wanted to go to the treehouse playground. Once again, it's a big area with various levels of activities. 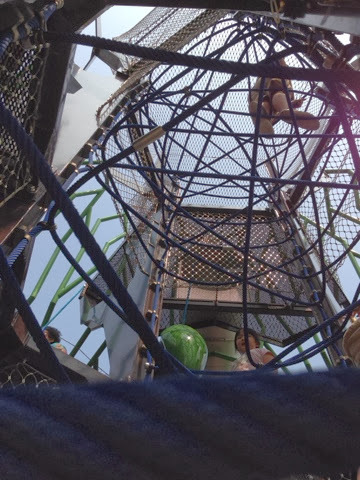 The boy loved the main tree house area where he could climb up three floors on the ropes and go down with the slide. It was a wonderful way to spend our Saturday morning and I can totally see us coming more often. There are also many staff stationed around to help ensure the kids are playing safely. If you have not been, I would highly recommend a visit. Weekdays are better as it's quieter but weekend mornings crowd are still manageable. I spoke to one of the staff and heard that the afternoons on the weekend are a little crazy! And on top of all that awesome play, it is free.